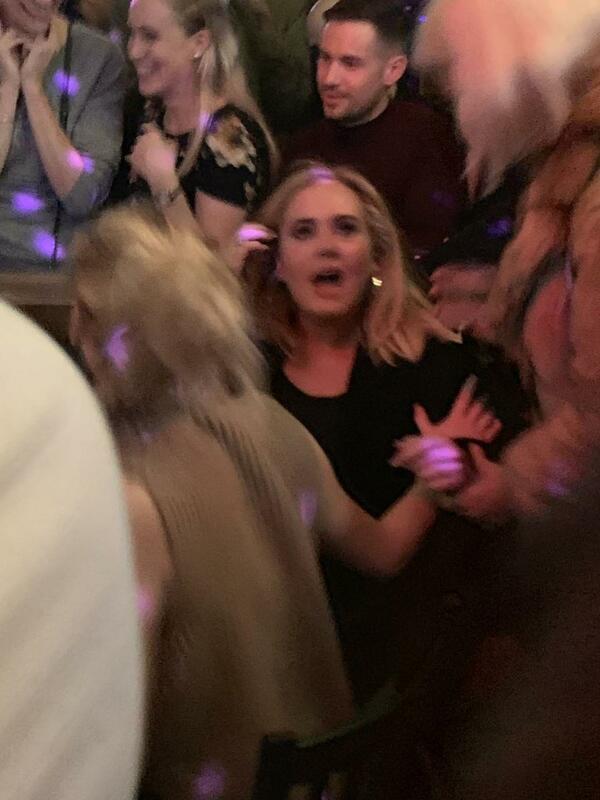 The singer and the Hollywood star’s attendance at Pieces bar in Greenwich Village was described as “one of the best nights ever” by one partygoer, as pictures and video clips of them together were shared widely on social media. In a moment caught on camera and posted by numerous people, Adele was asked by the night’s host to introduce herself while up on stage. Asked for her current job, she said “I’m actually at the moment a stay-at-home mum”, before adding that she is married, to cheers from the crowd. Another clip shows Adele, 30, playing a game to the sound of Kylie Minogue’s Can’t Get You Out Of My Head, before Hunger Games star Lawrence, 28, jumps on her, both of them falling to the floor while laughing. Partygoer Ben Lebowitz told the Press Association: “It was one of the best nights ever in New York City. Lebowitz, who lives in New York and works in advertising, added: “And then about 20 minutes later in walks Adele. Adele and Lawrence were previously seen together in January last year, as they attended a women’s march alongside Cameron Diaz on the anniversary of Donald Trump’s inauguration. They first met at the Oscars in 2013, and have been friends ever since.